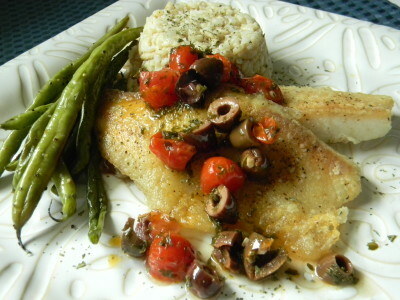 Tilapia With Kalamata Olives & Grape Tomatoes…..
Tis the season to lighten things up! I don’t know about you but I’ve gotten into quite a nibbling habit over the past few weeks. Tilapia is a favorite of mine. It’s mild and thaws beautifully. My kids really love it plain without fuss. I kept their portions plain and I decided to liven up the rest for Joe and me. I put a mediterranean twist on a brothy sauce I served with the fish. Loved it when it pooled into the rice pilaf. No heavy, cheesy, creamy indulgent sauce. Just delicious. You will notice that I do not add salt to the sauce as the kalamata olives are quite salty. Taste the sauce at the very end, (with an olive) before adding more seasoning. 1) Preheat the oven to 350′. 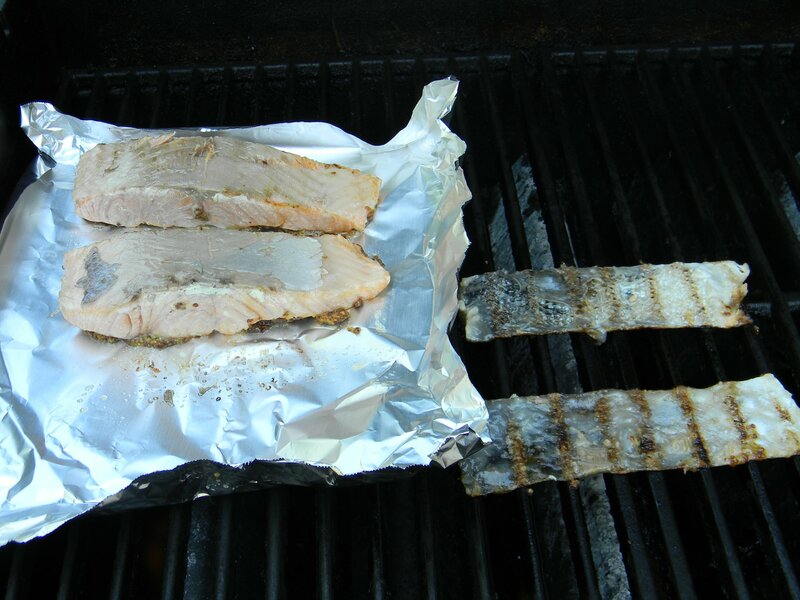 Line a cookie sheet with foil and coat with cooking spray. 2) Heat a non stick or cast iron skillet over medium heat, add olive oil to coat the bottom of the pan. 3) Put cornstarch into a medium size bowl. Season the fish with salt and pepper. Dredge into the cornstarch shaking off excess. Carefully add the fish to the hot pan with the olive oil. Resist the temptation to move things around in the pan. You want the fish to get nicely brown without falling apart. About 5 minutes per side. 4) Place the fish on the prepared cookie sheet. Bake for 20 minutes. 1) Add 2 tablespoons of olive oil to a medium sauce pan over medium heat. Once hot, add the garlic, cook for about one minute. 2) Add the olives and tomatoes, allow to cook for about two minutes. 3) Add the wine, chicken broth and lemon juice. Lower the heat and simmer for about 5 minutes. Season to your own taste. Spoon the sauce over the fish. Serve with rice pilaf and steamed or oven roasted green beans. Baja Fish Tacos with Avocado Cream and Fresh Cilantro Salsa…..
My family LOVES this dish. What is it about being able to assemble your dinner that is so appealing to kids? Whatever it is, I love when they go for a healthy meal such as this one. There is some prep involved, but you can make the avocado cream and the salsa a day or two ahead. Feel free to use bottled salsa. The fish takes minutes. We’ll start with the avocado cream…. Cut the avocado in half. Carefully score the inside of the avocado as pictured. Squeeze the skin side together and the avocado will easily come out. Put the avocado right into the food processor, I’m using a mini Cuisinart. Add low fat plain yogurt…. Fresh cilantro, kosher salt, and water….Give it a whirl until smooth…. Cover the avocado cream with plastic wrap before putting sealing with the lid. this will keep the air out and will keep it from turning brown. Do this with guacamole as well. You will need a large can of petite diced tomatoes, fresh cilantro, fresh onion, lime juice (fresh or bottled) a small green pepper, seeded and chopped, a jalepeno, granulated garlic powder, and salt…Add half of the canned tomatoes to a food processor, once smooth, add the remaining diced tomatoes for a chunky texture. Fresh and delicious! Refrigerate until you’re ready to use. You’ll need to make the Baja rub for the fish. Double or even triple this recipe and save it for the next time. Be sure to separate what you’re going to save before you start seasoning the fish so you do not contaminate the rub you will be saving. Label and date. Seasonings needed are: brown sugar, chili powder, cumin, granulated garlic powder, sweet paprika, oregano, cayenne, salt, and allspice. Mix all ingredients together and break up any lumps with your fingers. You’ll need 6 tilapia fillets, rinsed and patted dry with a paper towel. Brush each fillet with canola oil. 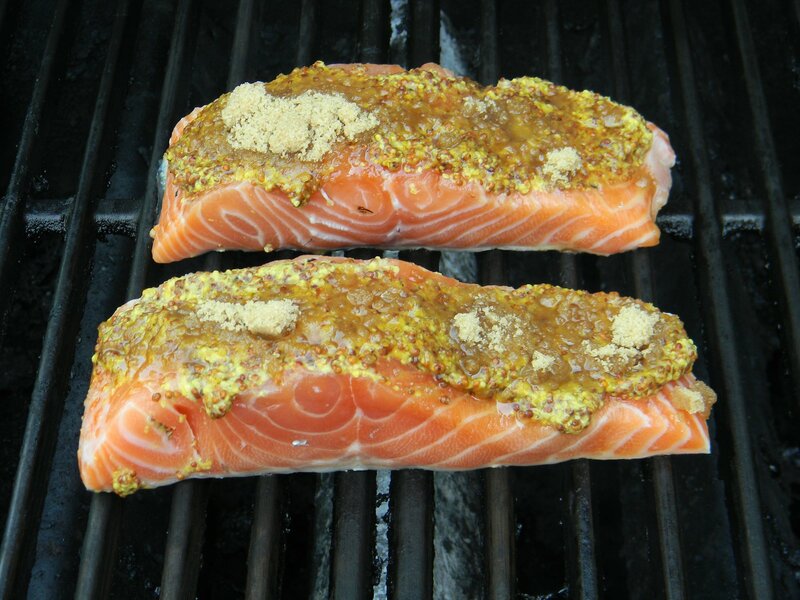 Season each piece of fish with the rub mixture. 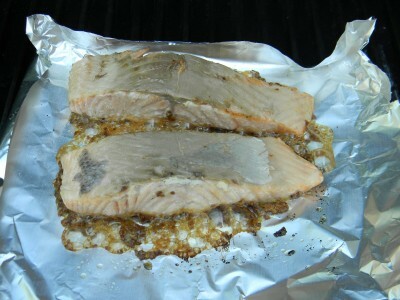 Each piece of fish should be well coated…Heat a non stick skillet with canola oil over medium high heat until very hot. Cook fish for 4 minutes per side, try not to crowd the fish. 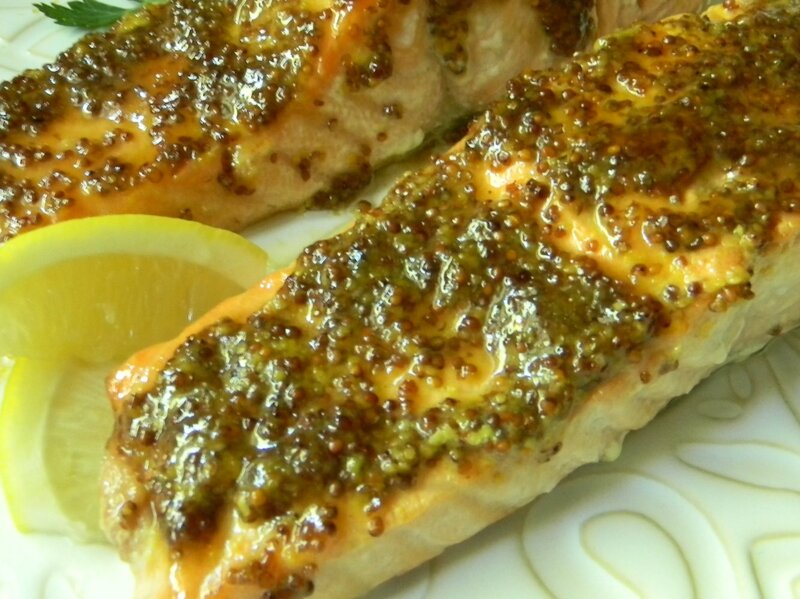 ﻿The brown sugar in the rub will caramelize the fish a bit…delicious on its own….wait until you taste the avocado cream, fresh salsa, and spicy flavors of the fish… it’ll knock your socks off! Flake the fish with a fork. Squeeze fresh lime juice over the fish. Now you’re ready to eat! Place all ingredients into a food processor and give it a whirl until smooth. Cover with plastic wrap and refrigerate until ready to use. Good for one week refrigerated. Place HALF of canned tomatoes into food processor. Add HALF of the jalapeño, seeds and all. Add the rest of the salsa ingredients. Whirl until smooth. Taste. If you’d like more heat, add the rest of the jalapeño pepper and process until smooth. Pour into mixing bowl and add the rest of the canned tomatoes. Mix and taste. Season with more salt if necessary. Refrigerate up to two weeks. 1) Mix all rub ingredients together in a small bowl. Brush fish fillets with oil. 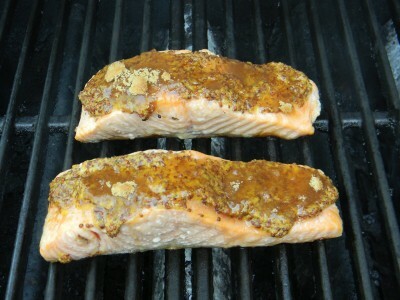 Coat both sides of fish generously with the rub. Heat a non stick pan over medium-high heat with oil. Cook fish in the hot pan, do not crowd, for 4 minutes per side. 2) Remove from heat onto a platter, flake with a fork. Squeeze fresh lime juice over fish. Cover with foil to keep warm. 3) Wipe out fish pan and warm tortillas one minute per side in the pan and place into a bowl lined with a clean napkin or kitchen towel to keep warm. 4) Layer over warm tortilla; lettuce, tomato, cheese, fish, avocado cream, and salsa. Serves 4. Enjoy! You may have noticed that I’m on a bit of a fish kick so far this year. Serving fish can get a bit costly, so I thought I’d share this economical and delicious way to enjoy salmon. Canned salmon is readily available. Keep some in your pantry for a quick satisfying supper. 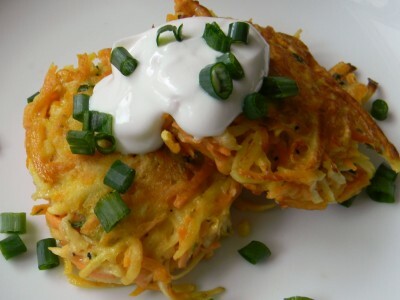 Serve with simple rice pilaf and a salad or steamed frozen vegetables. 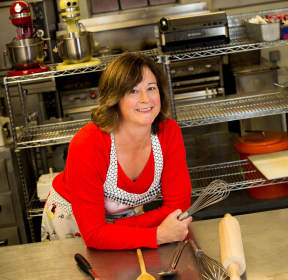 Preheat your oven to 400′ and non stick foil line a cookie sheet. Add about one tablespoon of olive oil to the pan and spread to coat with your hands. Set aside. Finely dice the red onion and the red and yellow peppers, saute in olive oil until soft. Allow to cool. Add the bread crumbs and gently mix. Whisk the eggs, mayonnaise, mustard, salt and pepper together. Add to the salmon mixture. Gently fold all ingredients together. Shape into patties and coat with additional bread crumbs. At this point you can bake or refrigerate if you want to serve them later. Give each patty a light drizzle of olive oil and into the oven, 8 minutes per side. Enjoy! 1) Preheat oven to 400’. Line a cookie sheet with non stick foil and drizzle with olive oil to coat, set aside. 2) Dice the red and yellow peppers, and onions. Heat a skillet over medium heat and add olive oil, peppers, and onions. Sauté for 8-10 minutes or until soft. Set aside to cool. 3) Open canned salmon and drain off excess liquid. Carefully remove the skin and bones, discard. Add salmon to a medium size mixing bowl. Handle salmon as little as possible, you want nice large chunks in your patties. 4) Add the cooled pepper and onion mixture, parsley, and lemon juice to the bowl. Add 1/2 cup bread crumbs and gently mix. In a small bowl, whisk the eggs, mayonnaise, mustard, salt, and pepper until well blended. Pour over salmon. Gently fold ingredients together until everything is well blended. 5) Put remaining 1 cup of bread crumbs into a small bowl. Form 4” patties with your hands and coat patties with bread crumbs. Place on prepared cookie sheet. 6) Bake for 8 minutes, then carefully give the patties a turn. Bake another 8 minutes. Makes 8 salmon patties. Serve immediately with fresh lemon wedges. Enjoy! *If you want to make ahead, prepare them all the way up to baking and refrigerate. Bake an additional one minute per side. *If you’d like to spice them up, add minced jalapeno pepper when sautéing the peppers and onions or add a couple dashes of hot pepper sauce. Corn Tortilla Encrusted Tilapia with Avocado and Corn Salsa….. I have been making so many sweets lately, I decided to mix it up a bit with a little lighter fare! This is a very simple and delicious way to serve tilapia. Feel free to use just about any mild white fish. I use a food processor to pulverize fresh corn tortillas. Baking at a high temperature crisps the coating without frying, it’s fantastic! Serve with simple rice pilaf and steamed snap peas, let the fish and the salsa be the star of the meal. If entertaining, prepare the salsa and have the fish oven ready in the refrigerator. The fish cooks in only 12 minutes. 1) Into a medium size bowl, combine all of the salsa ingredients, mix well and put into an airtight container and refrigerate. 2) Preheat oven to 425’. Line a cookie sheet with Reynolds non stick foil. Add 2 teaspoons of olive oil to the cookie sheet and evenly spread the oil over the foil. Set aside. 3) Tear the tortillas into small pieces and place into the food processor. Process until the tortillas resemble coarse bread crumbs. Place into a bowl for coating fish. 4) Into a second container, add the flour. Into a third container add the eggs and water, beat well. 5) Season the fillets with salt and pepper. Then dip into the flour, shake off excess. Dip into the egg, then into the tortilla crumbs, pressing the crumbs into the fish. Place on prepared cookie sheet. Drizzle with a very small amount of olive oil. Bake for 12-15 minutes. Serve with salsa. 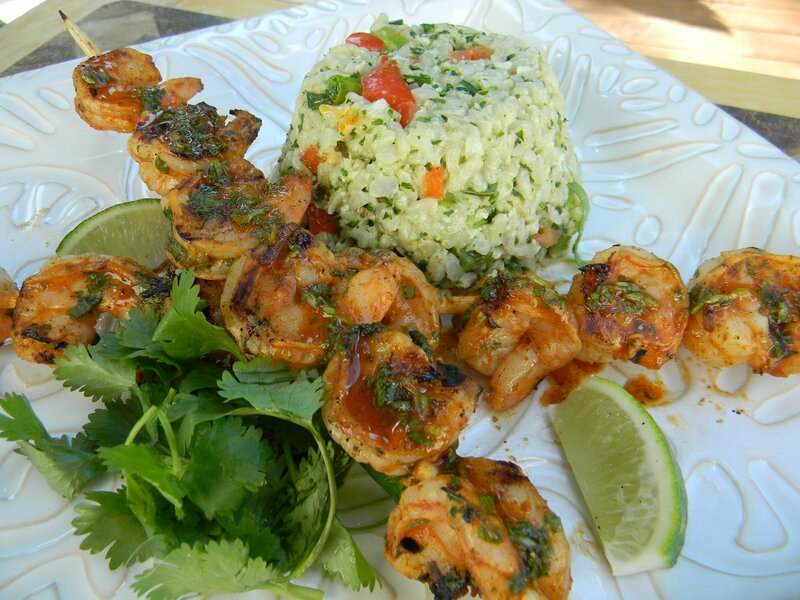 Grilled Garlic Shrimp Over Baguette…. When I had my gal pals over for food and bubbly, this seemed to be the favorite. This is a beautiful and extremely flavourful appetizer. At the end when you put the shrimp on top of the bread, be sure to baste with plenty of the flavorful butter and garlic mixture. It will soak into the yummy grilled bread. There are a few steps in the preparation process, but they’re very simple. If you’re entertaining, prepare everything right up to the cooking. All you’ll have to do is about 10 minutes of grilling and you’re ready to serve. 1) If you’re using bamboo skewers, soak in water for 20 minutes. 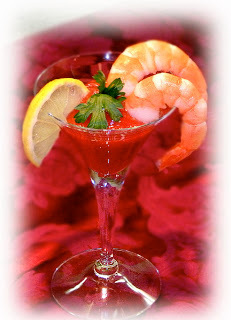 To thaw frozen shrimp: place in a large bowl and allow cold water to slowly run into bowl and down drain. Once thawed, peel and drain in colander. Put shrimp into a dry bowl. Toss with olive oil, salt, and pepper. Skewer 2 per skewer. Refrigerate. 2) Put all sauce ingredients into a microwavable dish. Refrigerate. 3) When ready to cook, preheat grill. Cut baguette and set aside. 4) Microwave the sauce ingredients until just melted. 5) Grill the bread first on both sides, you just want to get the bread a little crunchy with grill marks. Cut each piece in half on a diagonal and place on a large serving platter. Grill the shrimp for 2-3 minutes per side or until bright pink. Immediately place the grilled shrimp on the grilled bread in a criss cross. 6) Generously baste with the lemon and garlic butter mixture. Garnish with chopped parsley and a fresh lemon wedge. Enjoy! Isn’t this an elegant presentation??? Crunchy Baked Cod with Tarter Sauce…..
Cod is a very mild and flaky fish. I buy it frozen because it is flash frozen right after it is caught. It is the best way to buy fish in the midwest. As always, refrigeration thawing is the best, it will take about 24 hours. You can also defrost in a bowl in the sink under slowly running water. It will take about an hour this way. It doesn’t last long frozen, so use it up within a couple of weeks after you buy it. This is an excellent and easy way to prepare cod. My boys devour it! I love the tarter sauce, I cut the mayonnaise with some fat free yogurt, you cannot tell the difference, it’s very good! 1) Line a cookie sheet with Reynold’s non-stick foil. Preheat oven to 400’. 2) Rinse cod and dry with a paper towel. Season lightly with salt and pepper. 3) In a small microwavable bowl, add butter and olive oil. Microwave until butter is melted. Whisk in Dijon mustard and cayenne. 4) In a medium size bowl, add cracker crumbs. 5) Using a pastry brush, generously coat each piece of fish with the butter mixture. Coat fish with the cracker crumbs, pressing crumbs into fish to coat. Place on prepared cookie sheet. 6) Bake for 15-18 minutes. While fish is baking, mix sauce ingredients together in a small bowl. Serve immediately. Enjoy!